If you were recently affected by a work injury accident injury, finding relief from any discomfort you are experiencing is extremely important so you can get back to your daily routine. In addition to seeing your family practitioner, making an appointment with our chiropractor at Woodgrove Pines Wellness Clinic in Nanaimo, British Columbia can help. Here is some information about common workplace injuries what you can expect at a chiropractic appointment to minimize discomfort after an injury occurs on the job. There are several ways someone can become injured at work. One of the most common injuries is a back injury due to inadequate lifting practices or staying in one location for an extended amount of time without moving the body around. Ergonomics come into play in the workplace. If your work area is not set up with equipment at eye-level or with chairs that offer lumbar support, injuries can occur over time. Many find that they suffer from carpal tunnel syndrome as a result of engaging in repetitive motions without taking breaks. It is important to have safety procedures in place for all employees to utilize as they perform their jobs. If this is not available, speak with your boss about creating a plan for your place of employment. Make sure to use a back brace when lifting heavy items or ask a fellow employee to give you assistance. Take a quick break every few hours to get your muscles moving and your blood circulating as well. It is important to wear shoes with gripping soles if you work in an atmosphere where slip and fall incidents are prevalent. 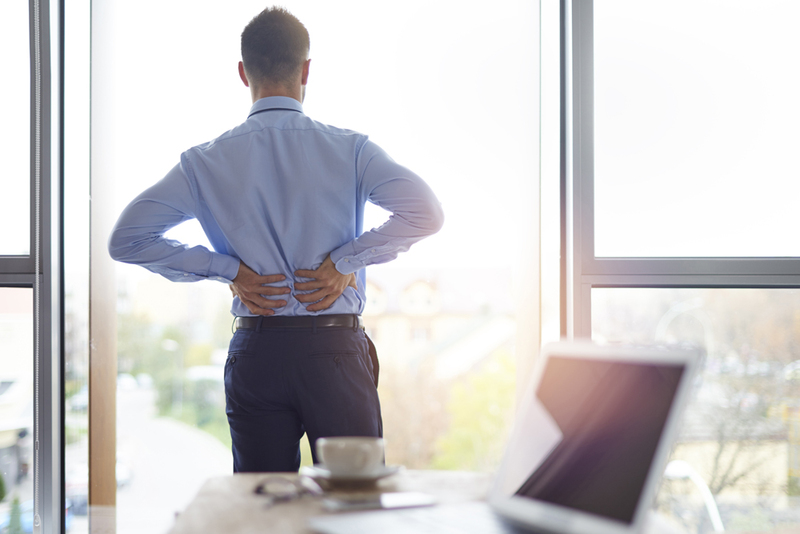 If you are suffering from aches and pains from a workplace injury, a chiropractic visit will help to minimize discomfort after just one session. Our chiropractor is adept at spinal adjustments to help relieve stress on the joints in your body, thereby reducing soreness. Ice and heat therapy works well at reducing any inflammation caused by the injury as well as minimizing pain. Our chiropractor is also experienced in administering light massage to affected areas to get blood circulation moving. These therapy tactics, along with visits to your regular practitioner for follow-up appointments, will help to get your body back to its normal state quickly and without the need for medication or other invasive procedures. Contact Our Woodgrove Pines Wellness Clinic in Nanaimo, British Columbia Today! If you are interested in finding out more about how our chiropractor can help you find relief after a work injury accident injury, give a call to Woodgrove Pines Wellness Clinic in Nanaimo to make an appointment for an evaluation. Reach our chiropractor at (250) 390-2003!